They were living in the south-eastern Ghazni province – which militants have been targeting – and have escaped to the capital, Kabul. 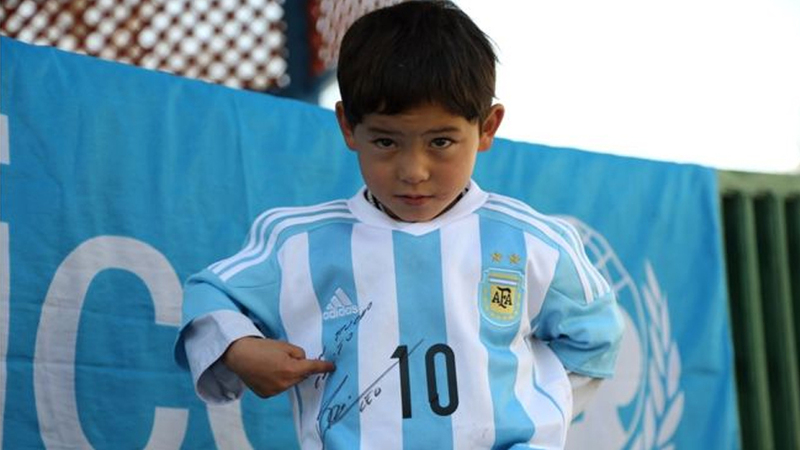 Murtaza was five years old when he wore a plastic-bag shirt in the white-and-blue colours of the Argentine national team, which Messi captains. It had the player’s number 10 drawn on the front with a marker pen. After a photo was shared widely on social networks, people called for him to be found so Messi could respond. When the boy’s name was released, the player sent him a package – including a signed shirt – via the children’s charity Unicef, which he works for as an ambassador. Murtaza was later invited to meet Messi when the Barcelona star played a friendly in Doha in late 2016. The young fan walked on to the pitch with his idol.